The Silver-spotted Skipper, Eprgyreus clarus, is one of the largest Skippers, easily identifiable by the large spot on the wing. 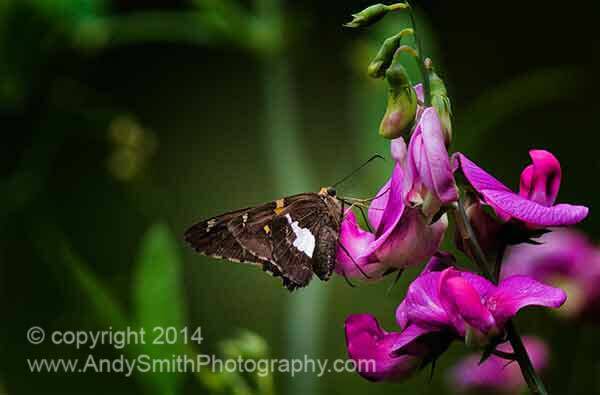 This one is feeding on Sweet Pea flowers in Jenkins Arboretum. Butterflies are important pollinators.